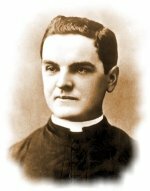 The Knights of Columbus was founded in New Haven, CT, in 1882 by Father Michael J. McGivney. It was formed as a Catholic men's fraternal benefit society to provide members and their families with mutual aid in the event of sickness, disability, or premature death. Today, the "K of C" carries on the vision of Fr. McGivney through its top-rated Life Insurance program and its organizational directives of Charity, Unity, and Fraternity. For more information, visit http://www.kofc.org/. For an inspiring look at what it means to be part of the Knights of Columbus, see the video introduction, "In Service to One. In Service to All" (running time, 32 seconds). Hear what Knights have to say in their own words about their membership in the world's largest Catholic family service organization. "Experience of a Lifetime" (running time, 10:59 min.). If you are interested in joining, we encourage you to speak to any one of our members to find out more about our council. Please email us at coventryknights@verizon.net to indicate your interest. The way many of our members see it, the primary benefit of joining our council is that you are part of a group of men who are not only fun to be around, but are serious about their commitment to their faith, family, and fellow man. However, being a Knight is more than camaraderie; it is being involved with your community; it is supporting your local Catholic Church, while enhancing your own faith; it is about protecting and enhancing your family life. By joining, you will also receive Columbia magazine, the world's most widely distributed Catholic family magazine. In addition, you are eligible to join the Knights of Columbus top-ranked insurance program.